Where women bare the heart of our art to ignite and regenerate the cycle of creation. 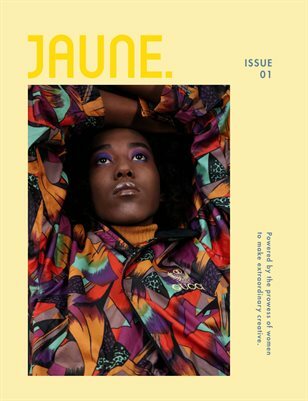 Jaune Magazine publishes the creativity, ideas, products, and collaborations we have with the immensely talented and visionary women we work with, as well as the work + stories of other women who inspire us! We are on a constant mission to elevate and promote inspiring creative work by women and their stories.